Below you will find video links and helpful QuickSkills information for the most frequently asked questions by students in Weeks 1-4 in the New Media Tools course. Where do I locate the downloads file for all the tutorials? All the files you'll need to complete every QuickSkills tutorial are found in the "Downloads" section of the DueView. PLEASE NOTE: The compressed file you are downloading is large so you'll want to allow adequate time for the file to fully download to your computer. How do I get the Timeline font? I do not have the TIMELINE FONT ON MY MAC... what do I do? The Illustrator Walkthrough PDF has an orange-colored note at the top of the page that says, "Please install the Timeline font before beginning..." and then indicates that it is in the Downloads>Illustrator folder. If you need instructions on how to install a font onto your Mac, please click the "Learn More At This Video Link" button below for a quick video tutorial. How do I give my animated logo a white background? If you save the file logo file out of Illustrator as a jpeg, it will have a white background automatically when you save it. If you need to add a white background for the animated logo after you complete the After Effects tutorial, click the "Learn More At This Video Link" button below to view Pete's super-quick video on creating Color Mattes in Premiere Pro and you'll be all set! My logo layers are not separated. You'll need to go back into Illustrator and move (click and drag) the artwork to its' correct layer (Eg., move the circle to the Circle Layer and the LEAFE text to the LEAFT Text layer, etc. 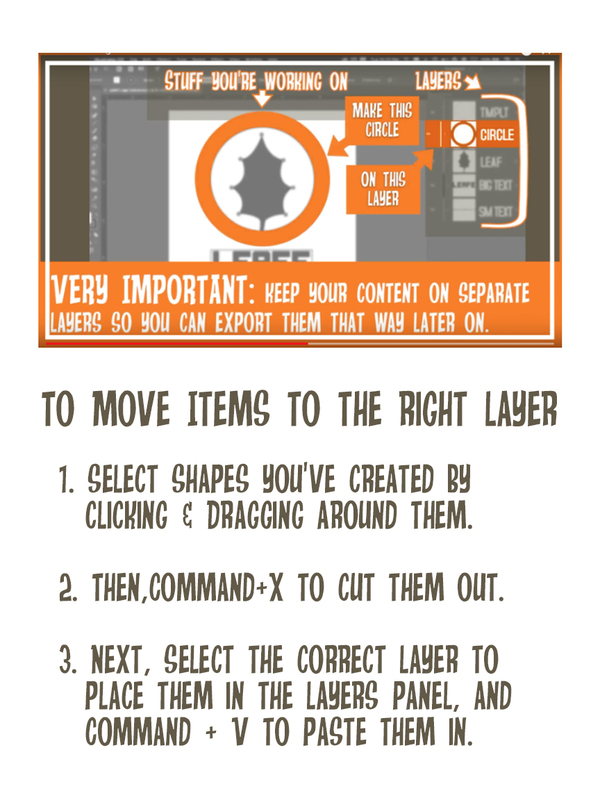 Next, view the beginning of the After Effects tutorial in order to bring the fixed layers into AE. Auto-keyframe isn't visible on my After Effects workspace. 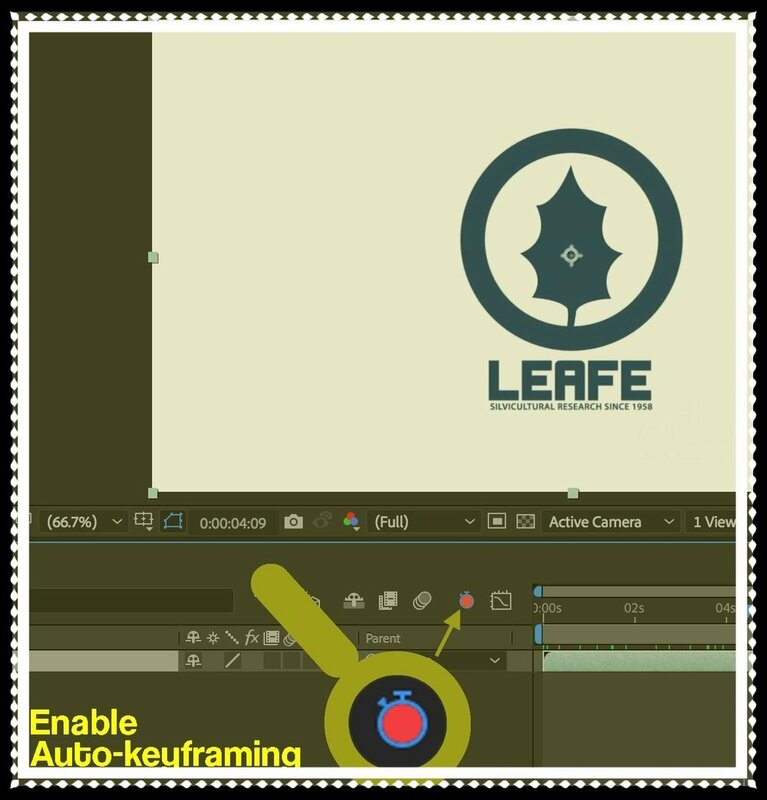 Along with recent updates to After Effects, the Enable Auto-Keyframe feature was changed to the disabled position. You'll need to enable it in order to have keyframes automatically appear when you make an edit. Click the "Learn More At This Video Link" button below to see a lightening fast video on how to fix this issue. Hyperlinking doesn't work in InDesign... help! Trouble setting up your hyperlink. 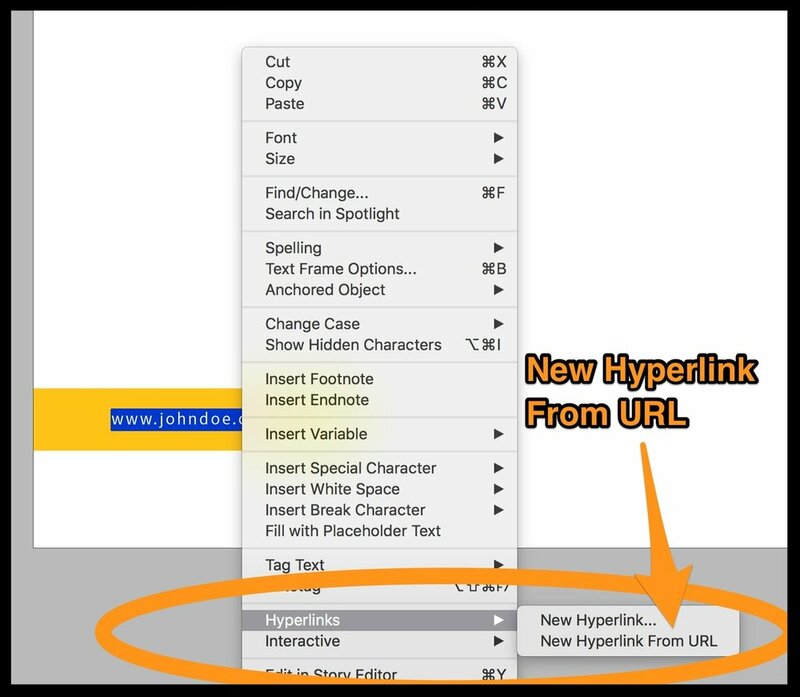 Another way to do this is to select, then right-click on your url and choose Hyperlinks>New Hyperlink From URL.